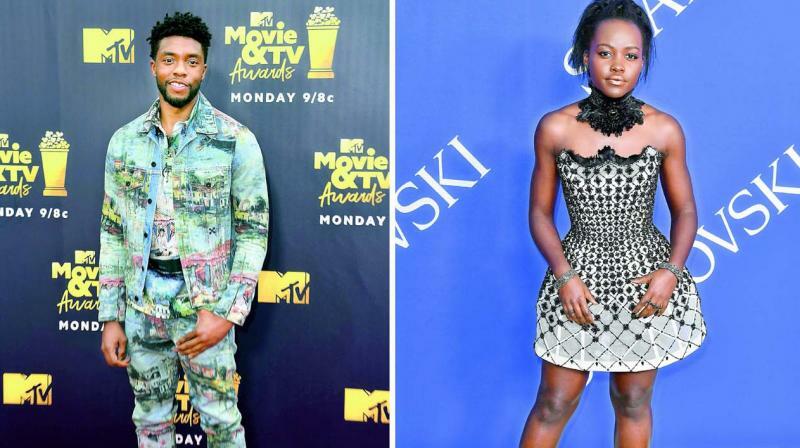 Lupita Nyong’o and her Black Panther co-stars Chadwick Boseman and Danai Gurira presented a new scholarship — The Black Panther Scholarship. Lupita Nyong’o and her Black Panther co-stars Chadwick Boseman and Danai Gurira presented a new scholarship — The Black Panther Scholarship — at The Hollywood Reporter’s Power 100 Women In Entertainment held at Milk Studios on Wednesday Los Angeles. Lupita Nyong’o and her Black Panther co-stars Chadwick Boseman and Danai Gurira presented a new scholarship — The Black Panther Scholarship — at The Hollywood Reporter’s Power 100 Women In Entertainment held at Milk Studios on Wednesday Los Angeles, reports JustJared.com. The scholarship has been created by Walt Disney Studios, which will provide one girl from THR’s Women in Entertainment Mentorship Program a scholarship to Loyola Marymount University, worth $250,000. The programme is running it’s ninth edition and Danai was quoted saying, “We know that if we want to live in a world that looks more like Wakanda, the first step is you invest in women and girls,” that received a loud round of applause from the audience.